We’ve got a lovely bunch of sanding sponges. And they can be yours for less than you’d drop in a fast food drive-thru. 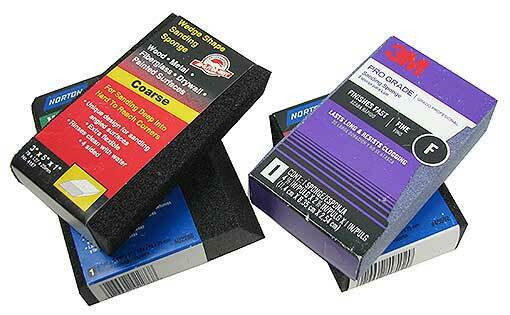 Most are from 3M and Norton Abrasives®, and they range from coarse to fine grit in sizes from 4" x 2-3/4" x 1" to 4-7/8" x 3-1/2" x 1". We’ll pick a couple for you, OK? 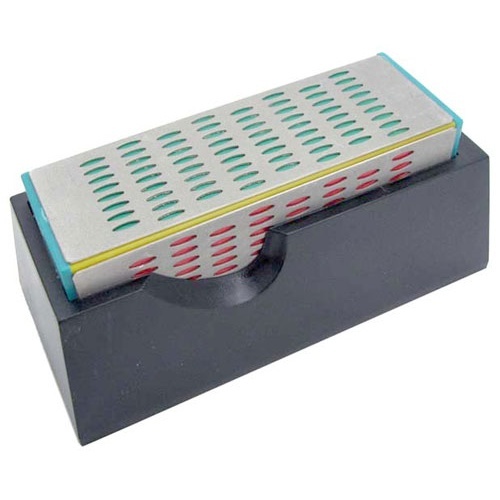 This nicely made 13-piece file set has a dozen diamond-encrusted files at 2, 4 and 6mm wide x 1-3/16” long with 120, 180, 300, and 400 grit surfaces. 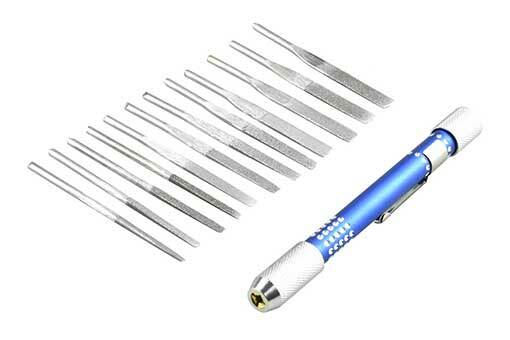 Includes a colleted 4-3/4” long aluminum handle, Go rub something the right way. 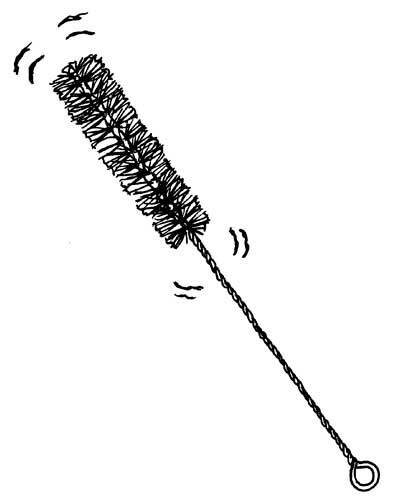 Don’t stick cotton swabs in anyone’s ears, even your elephant’s, although the largest of these will be tempting. 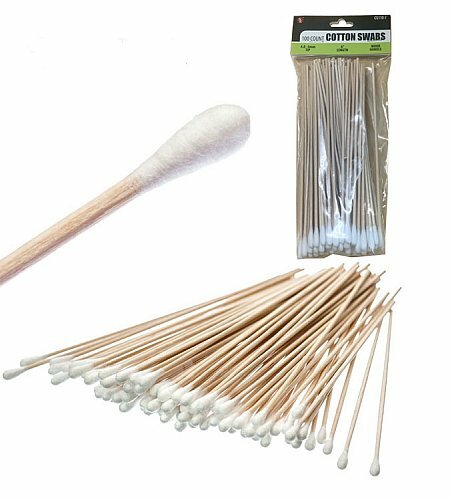 Our each is a giant 325-piece pack of single-tip cotton swabs on wooden sticks and in (6) different sizes. The smallest is about what you’ve got in your medicine cabinet, and the rest range on up to the elephantine, 8-1/2” long with 3/4” dia swabs on the end. Were thinking artists, art restorers, auto detailers, electronics techs, gunsmiths and fussbudgets of all sorts will love them. You do have tubes, don’t you? 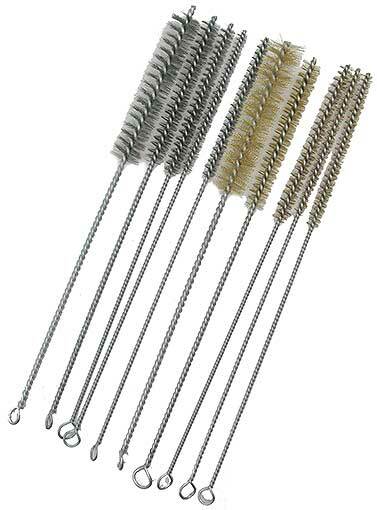 This 10-piece set of wire brushes includes (5) each in brass and stainless steel, all 12” long, with 4” long bristle sections with 1/4”, 5/16”, 3/8”, 1/2” and 3/4” dia bristles. Loops on the end are for hanging above the bench where you do your tube cleaning. We love these. 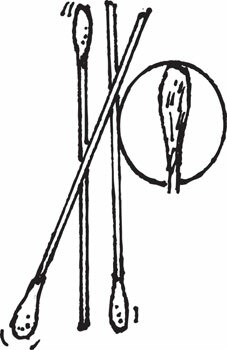 You’ll get a pack of (8) double-ended swabs, like the cotton variety, but with sandpaper on the ends. 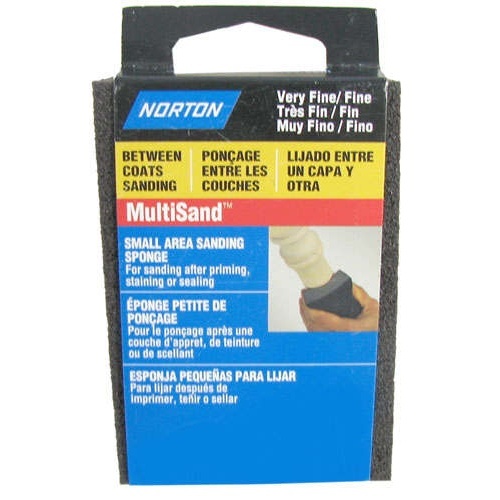 Measure 1/4” dia with 5/8” long sanding tips. 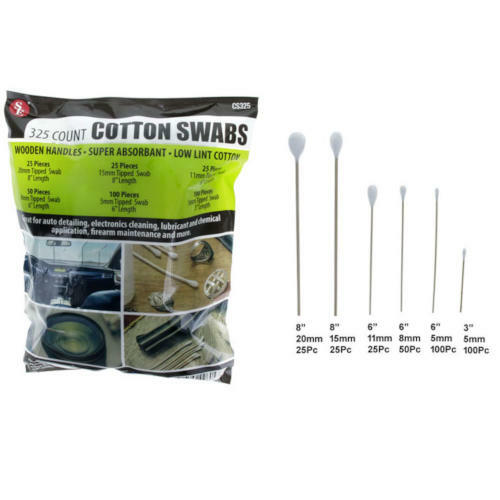 You pick the 120- and 180-grit swabs or the 400- and 800-grit swabs. Great for hard-to-reach spots. 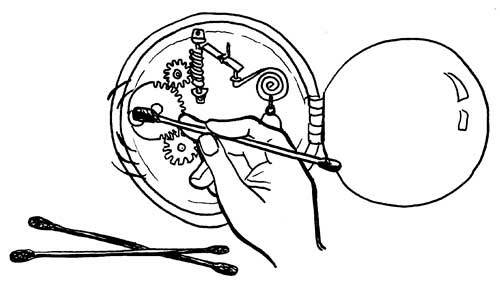 We’re thinking hobbyists, crafters, model-makers, DIYers and anyone else with an eye for detail will wonder how they lived without these. 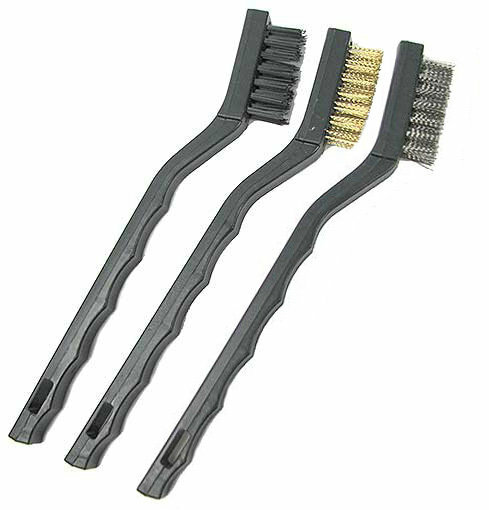 Super-long Q-type tips are for people who don't want to get too close to their ears. 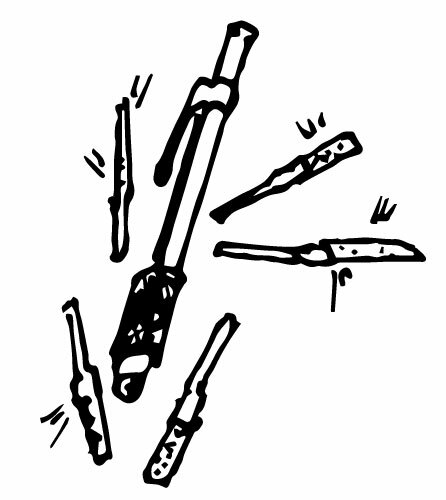 Actually, these are tech swabs with cotton tops and wooden sticks for lab work, so leave your ears out of it. Good for other body parts, though, and for too many craft applications to list. 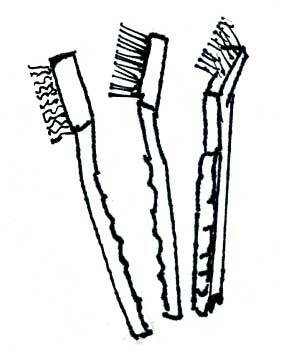 You get (3) packs, for a total of (300) 6-1/4" long fuzzy-topped sticks. 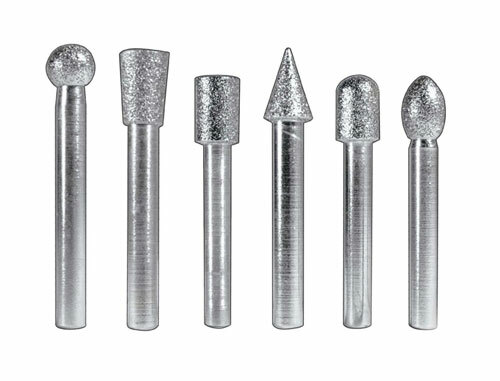 So you won't want to lose this 6-piece set of diamond burrs. 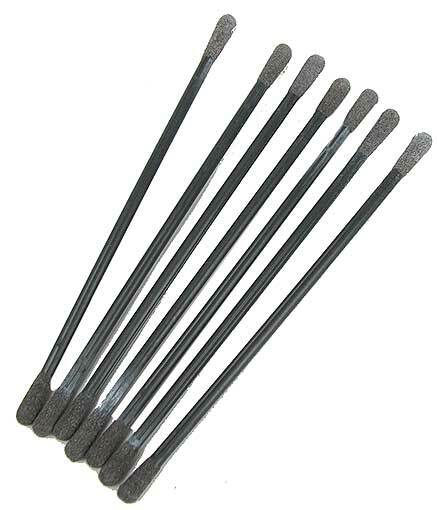 They're on 1/4" shanks, and are 2-1/4" to 2-3/8" long OA, with approx 1/2" dia heads. 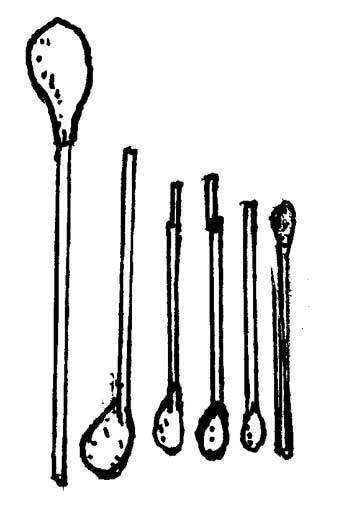 The set includes one of each shape: cylinder, round-end cylinder, round, egg, inverse cone and pointed cone. All are #40 grit. Incredibly handy for those tough jobs! Life too dull? 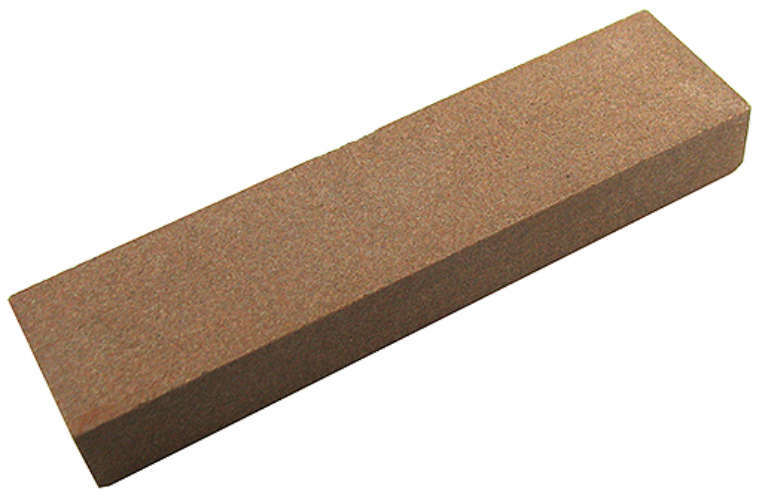 You need a whetstone, and this one, while it's not a stone at all, is a big improvement. 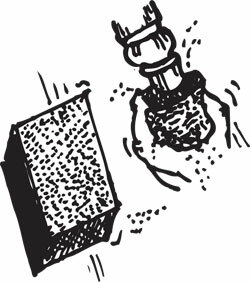 It's a 4-sided diamond sharpening block, 6" long x 2-1/2" on a side, sitting snugly in a wooden holder with slip-resistant rubber feet. The sides are 200, 300, 400 and 600 grit, so you can work your way up to a razor's edge on knives, chisels, or anything that needs a little edge. It’s a whetstone for sharpening knives and no, it doesn’t need to be wet to use. (“Whet” means to hone.) This one is small, pocket knife-size. Some folks use a little mineral oil, but that isn’t necessary either. This stone is 220-grit, and measures 3-7/8" x 1" x 1/2". 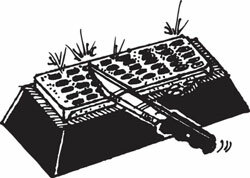 Lay it on a wet paper or cloth towel, so it doesn’t slip, then pull your blade across it a dozen times on each side with the edge tipped to a about 22-1/2-degree angle or less, which you approximate by standing it up at 90 degrees, then tipping it halfway to 45, then halfway again. 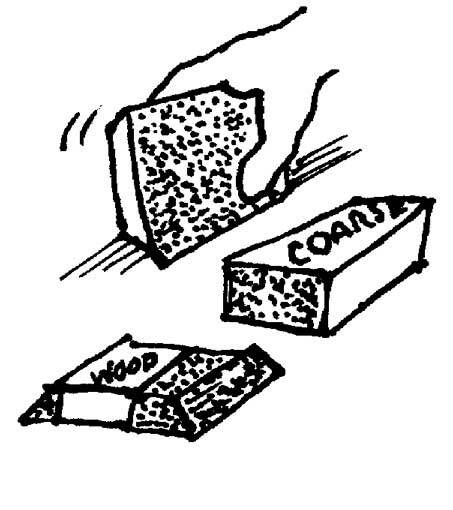 For those hard-to-reach contours, nothing beats a wet/dry sanding sponge. This one measures 4" x 2-3/4" x 1" and is marked "Very Fine/Fine, Tres Fin/Fin, Muy Fino/Fino," which we make to be approx 220 grit, although we didn't count them.